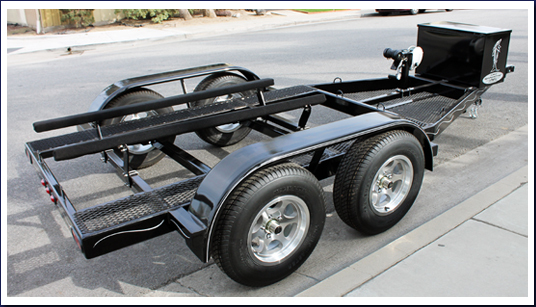 Click on the image to view more images of this single trailer. 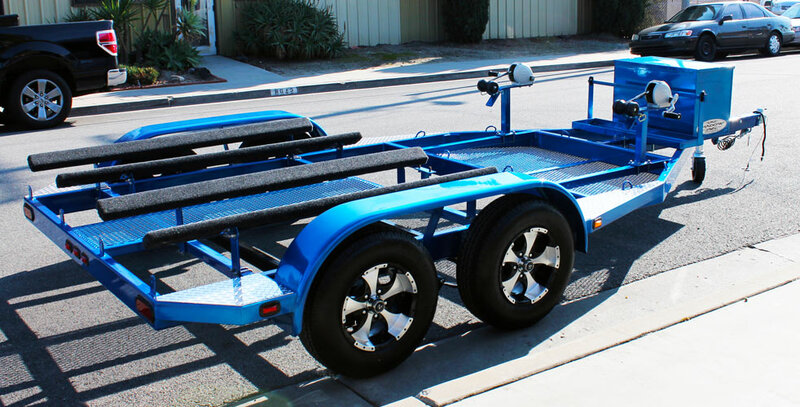 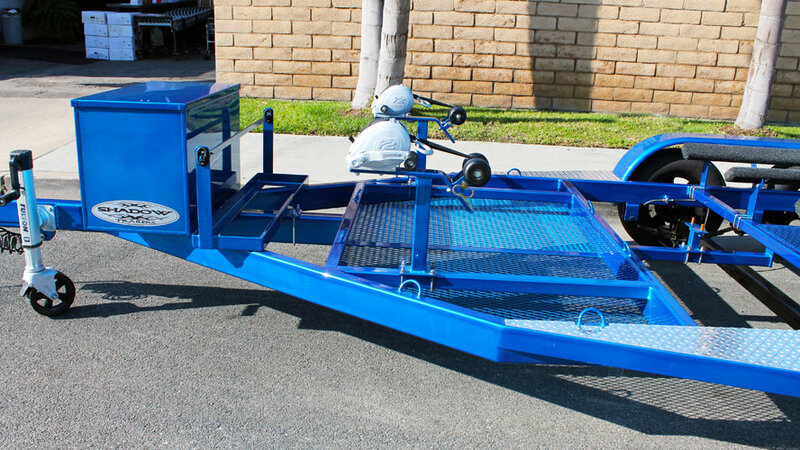 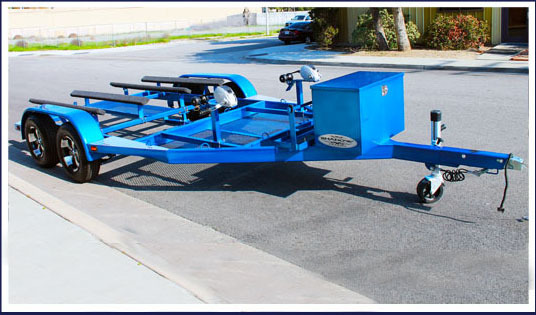 This double jet ski trailer features, tandem axles - 14 inch radial tires and aluminum Transformer wheels - front mesh storage - LED lights -double safety cables - Fulton F2 aluminum winch - Fulton F2 aluminum trailer jack - powder coated candy blue. 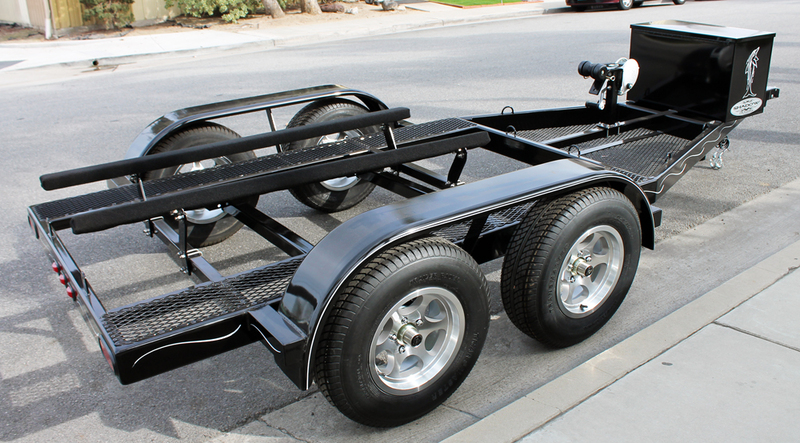 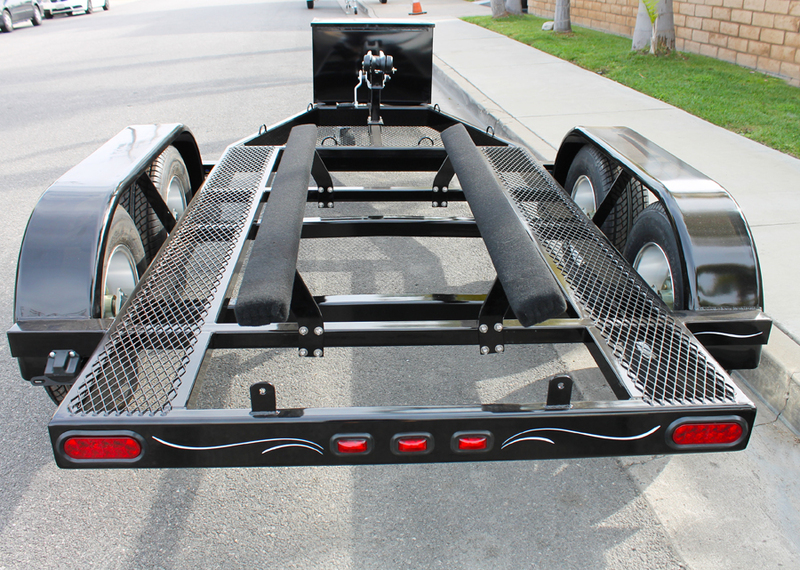 Click on the image to view more images of this SHAD 2 jet ski trailer.